When you’ve exhausted Istanbul, try visiting Bursa, a neighbouring city with a fun, energetic vibe. Bursa is home to Turkey’s textile industry, and you can indulge in seeing all the wonderful silk goods that linked the country to the East through the Silk Road. You’ll also find attractive tea gardens, an amazing market place and the impressive Ulu Cami mosque. Bursa is also home to possibly the best kebab in the world, called the Iskender Kebap. If you can hire a car, a drive along the glistening turquoise coast is a must. The Datca Peninsula is ruggedly beautiful, wild and windswept and takes in a range of sights including Greek ruins, fishing villages, beautiful beaches and thousands of olive and almond trees along the roadside. 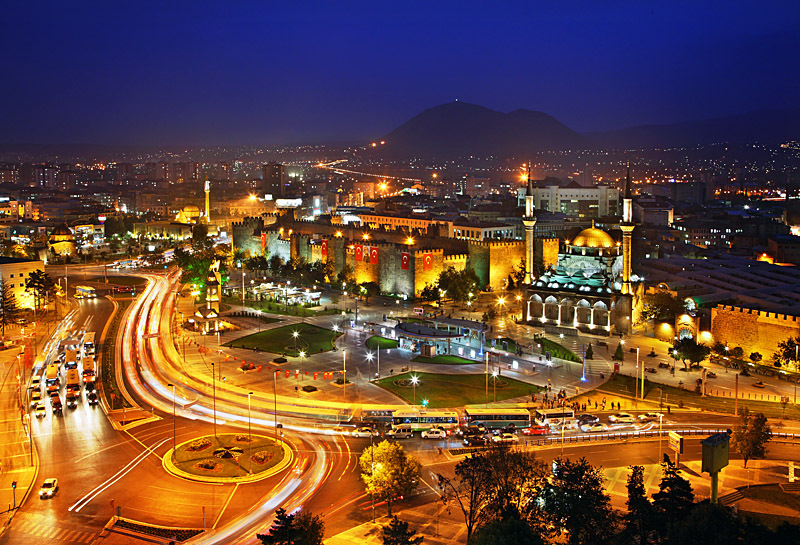 This city offers a sophistication and trendy take on modern Turkish life. The architecture is distinctly urban and here you’ll find top universities and a strong economic hub. The origins of the city might date back to 3000 BC but visiting Kayseri is like viewing Turkey from the future. Compared to San Francisco, this city is very much about the ‘new’ and the technological but also lies not far from one of the most important archaeological sites on earth. Kultepe, Urgup and the famous cave hotels are all within an hour’s drive. For those who love ancient sites, Mardin is full of old limestone houses, beautiful views and a mixed culture of Syrian, Christian and Kurdish settlements living in harmony. The city has been called an open-air museum, with incredible relics almost around every corner. The diverse mix of cultures results in Mardin being a foodie’s dream. Be sure to try the walnuts dipped in grape molasses for a seriously sweet treat!